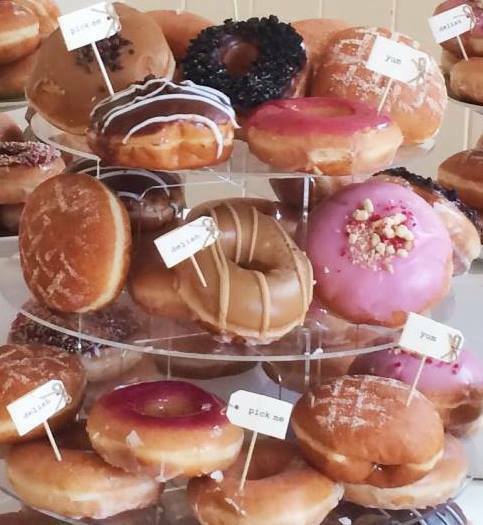 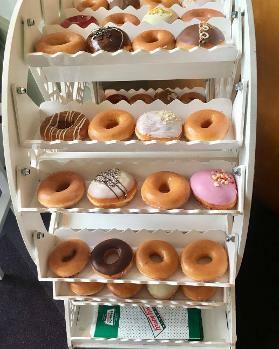 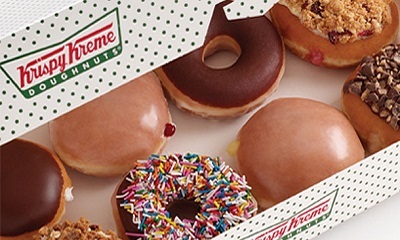 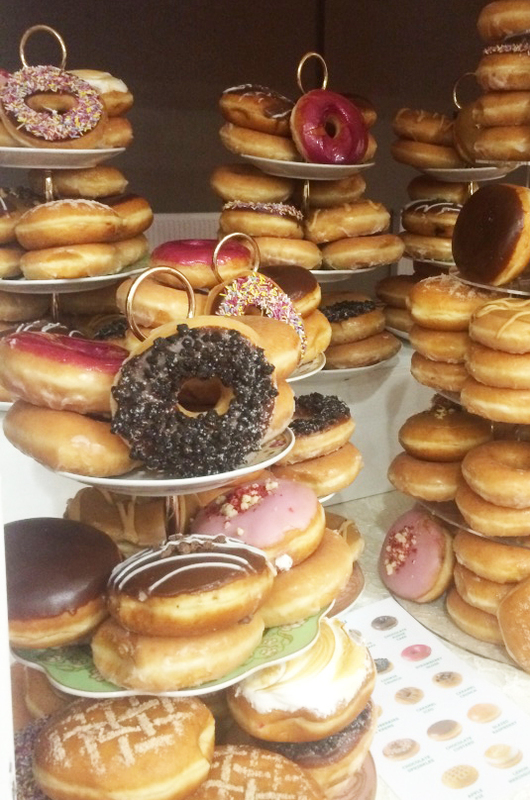 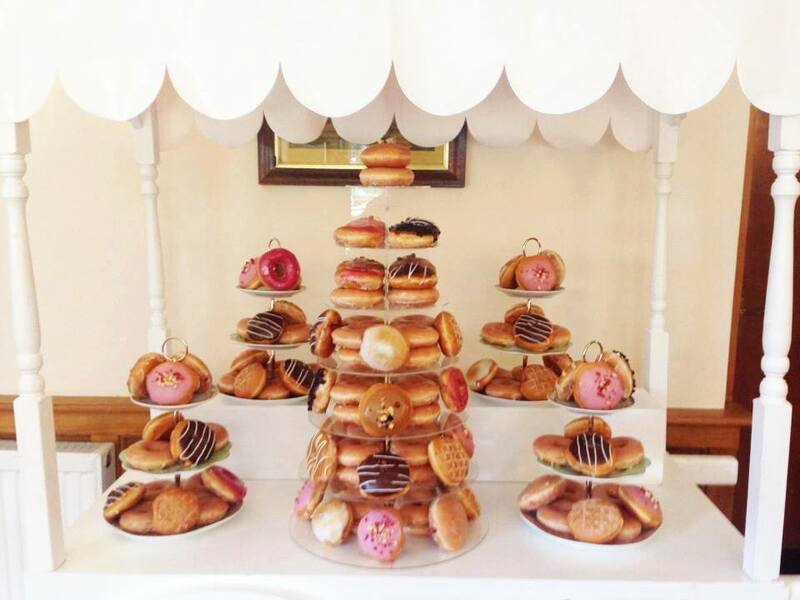 An assortment of 120 genuine 'fresh that morning' Krispy Kreme doughnuts displayed on our traditional sweet cart - with the centrepiece being a tower of these scrumptious little beauties. 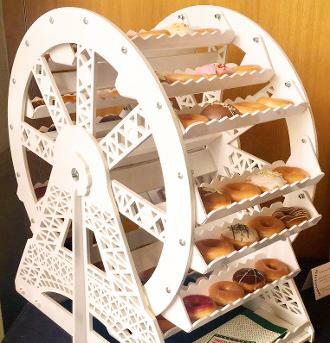 Includes delivery and set up. 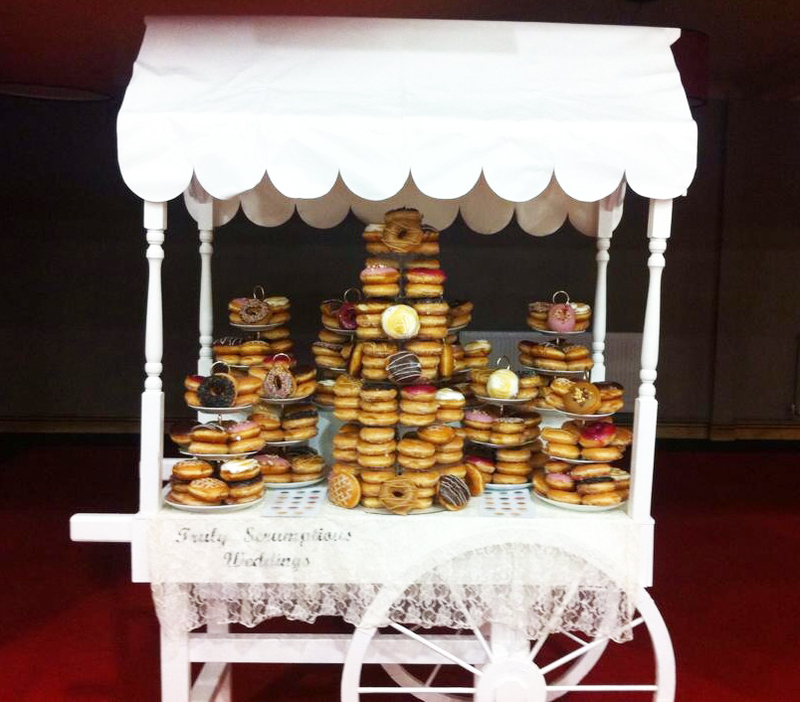 Complete with 64 freshly made genuine Krispy Kreme! 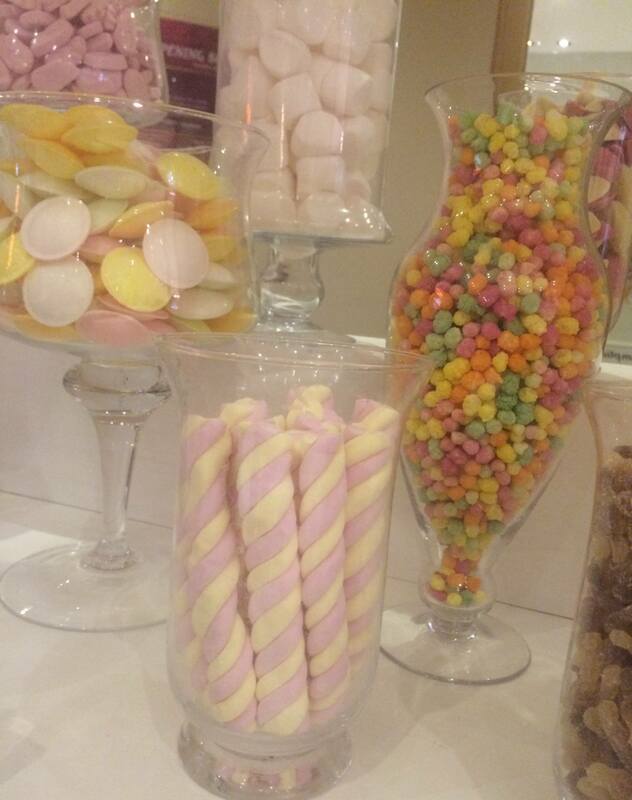 We can also colour match your sweets to your theme, or it will also hold 126 cupcakes! 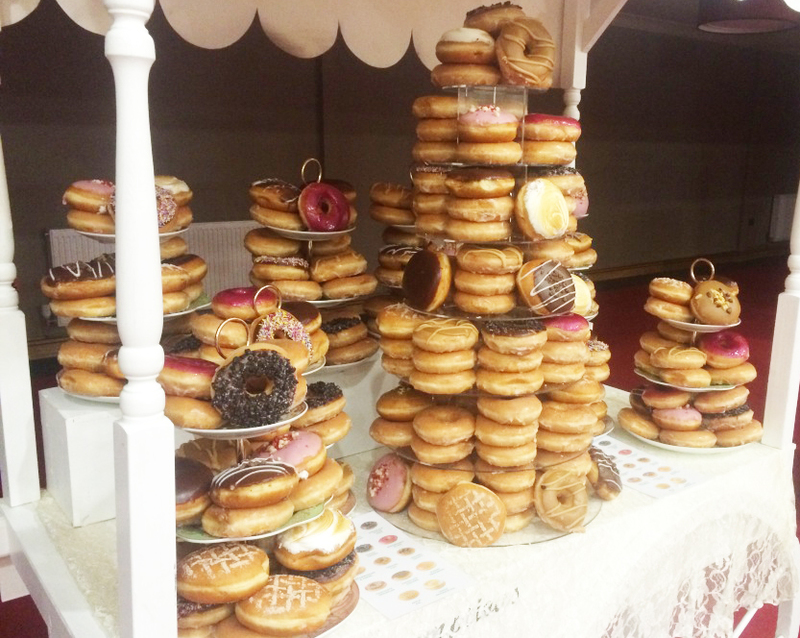 Its an impressive 2 foot wide, 2 foot deep and 2 and a half foot high! 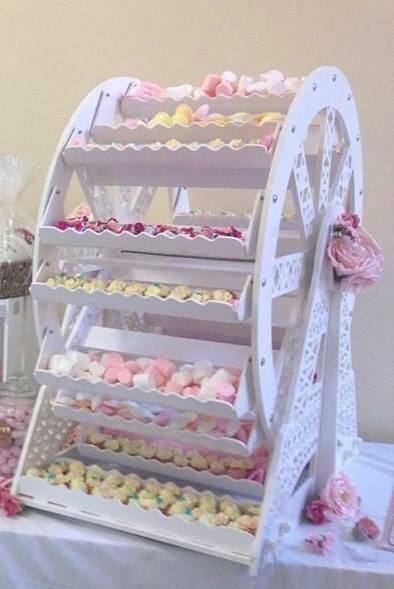 It can be decorated with a white wicker heart, fairy lights, ribbons in your colours or illuminated from underneath for an extra £5! 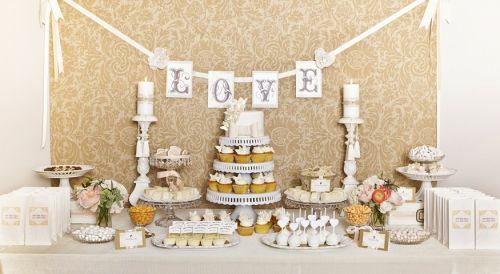 We're always on the look out for inspiration for sweet tables. 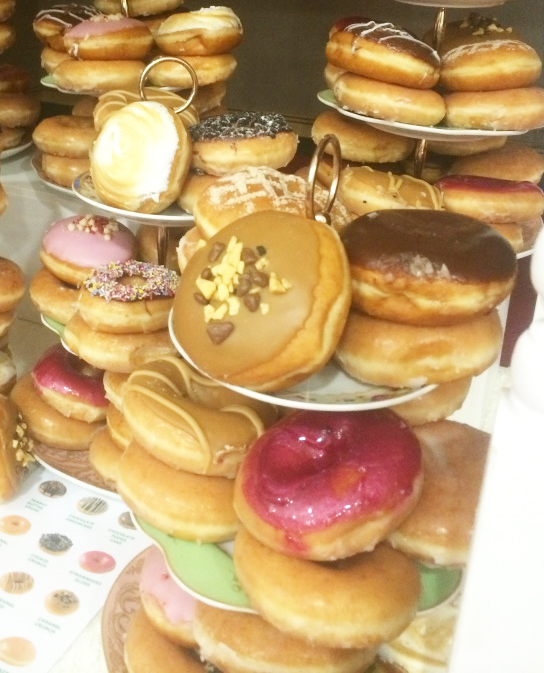 Here are some of our favourites. 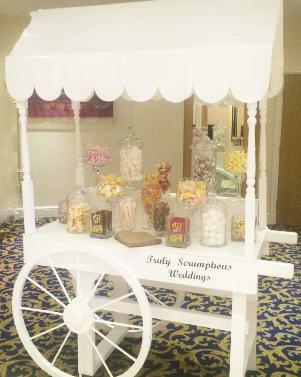 We can copy these designs down to the minor details or incorporate your own ideas and themes / colour schemes / favourite sweets etc. 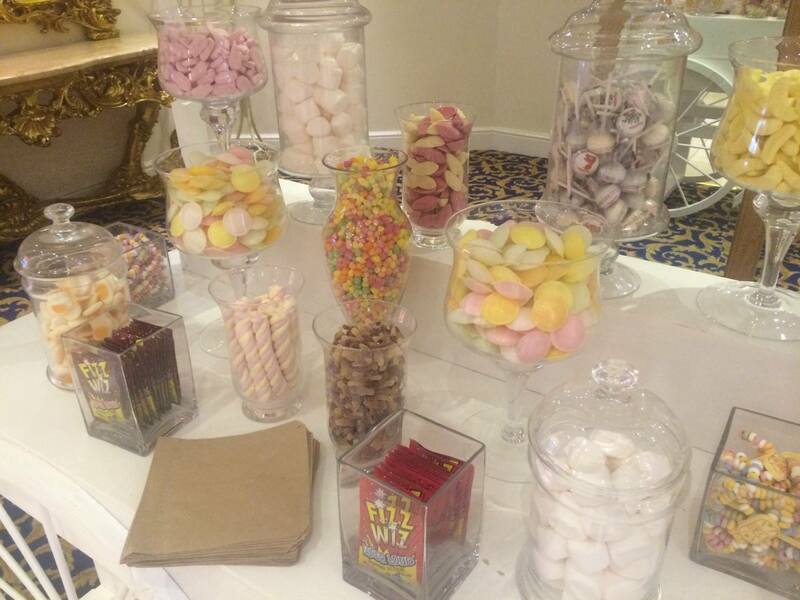 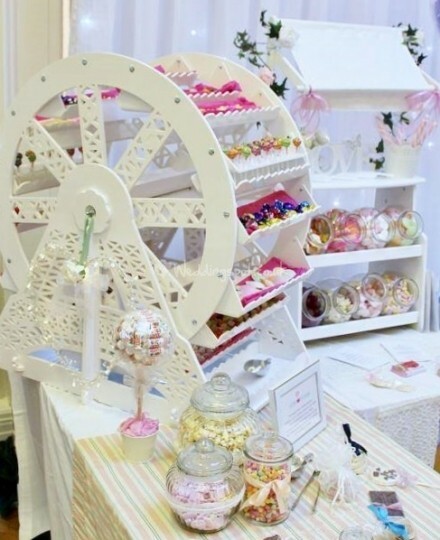 Alot of our inspiration comes from Amy Atlas Events who are based in the states where they have been doing sweet tables for ages. 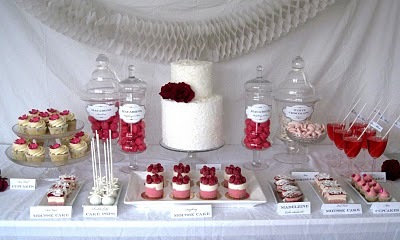 Creating a stunning sweet table is actually harder than you might initially think. 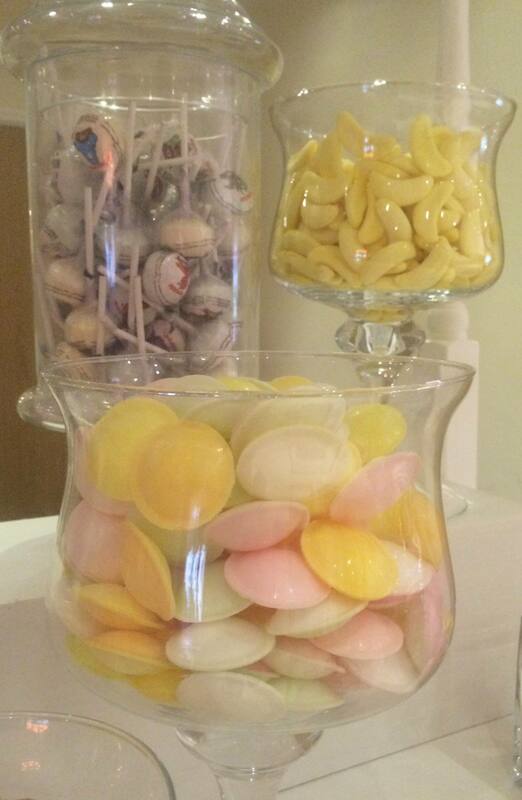 Anyone can buy some pretty jars and fill them sweets purchased from the supermarket, but we always work to a theme or colorscheme and incorporate little details that transform the sweet tables into real show stoppers! 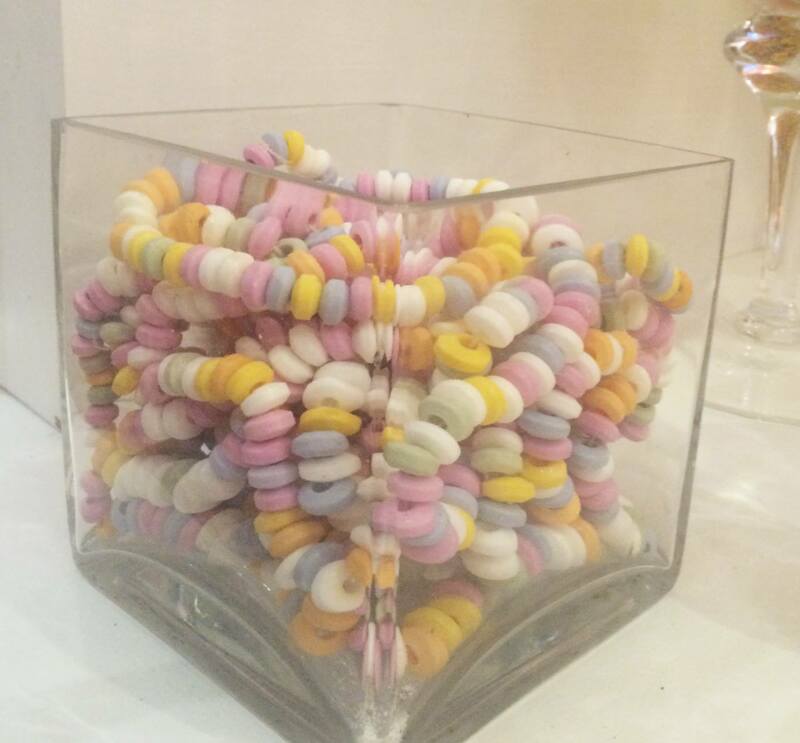 It's the minor details like which sweet bags we use, which labels, using themed glassware (eg all retro sweet shop, or all vintage etc) and use different heights to create interest and symmetry.